Teresa LeVelle is no alien to Los Angeles—she lives there—but she grew up on a Kansas farm surrounded by prairie in all directions. Little wonder then that her musical landscape includes silence, stillness and openness as well as intense drama and vivid colors. There is mystery where these worlds meet, and time and nature operate differently. Now hear how it sounds. She is not alone on The Shadowlands, the first CD devoted to her work. Indeed, she is surrounded by a herd of exceptional talent. Danilo Lozano’s flute has earned him many a Grammy Award and listening to him play The White Buffalo it is easy to see why: conjuring up haunting visions of spirits, storms and untamed nature on the wild tall-grass prairie is just the beginning. Star sax player David Dees commissioned the title track, The Shadowlands for soprano saxophone and string quartet, for presentation at the World Saxophone Congress. It is hard to imagine a smaller venue for this energetic landmark work. The accolades stack up further with performers such as bassist Michael Cameron, pianist Stephen Cook, percussionist Theresa Dimond, cellist Alexander Ezerman, violinists Mark Menzies and John Haspel Gilbert and harpist Ann Yeung. You can be certain you are hearing LeVelle’s music the way it was meant to be. This CD is only partially from Kansas but you can expect to be blown away. 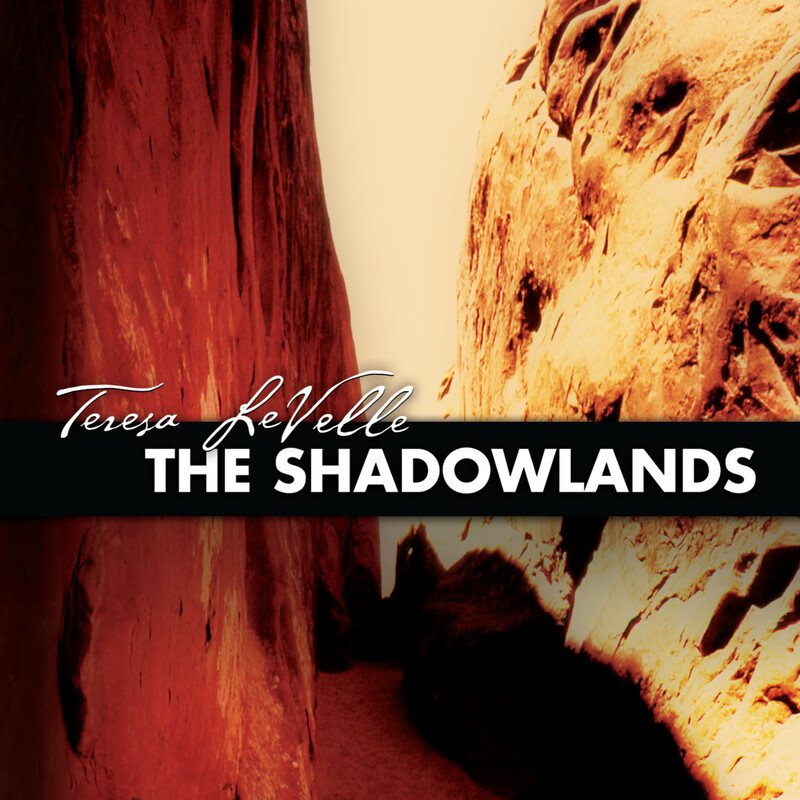 Kansas born composer Teresa LeVelle has just turned forty and has a doctorate in composition from Indiana University. On the face of it that could mean she is yet another of those energetic academic campus mediocrities giving more attention to anticipated accolades from equally dreary peers than to uninhibited creative thinking itself. But in this enterprising début CD of her instrumental works, generously supported in part by Whittier College, Los Angeles, where she has been assistant professor and principal composition tutor for the last six years, LeVelle seems to prove otherwise. The title piece, The Shadowlands, is a substantial three-movement concerto for the frequently neglected soprano saxophone and string quartet -- a piece that deserves to be taken up by players not only as a quirky and challenging addition to a limited repertoire, but also for the sheer pleasure it would give to audiences. Its first movement for instance, neatly structured, exploits the idiosyncratic virtuoso qualities of the solo instrument impressively, with accompaniment from the inventively used strings [listen -- track 7, 3:34-5:05] and is followed by a quiet atmospherically effective movement and a bright finale, the whole lasting just over 26 minutes. The soloist David Dees commissioned this work for the XII World Saxophone Congress, and Dees also plays in Kanza, a piece inspired by birdsong (the title means The Wind People, a native Siouan-speaking tribe) for flute, soprano saxophone and cello. Flautist Danilo Lozano plays alongside intriguing recorded sounds in a solo piece, The White Buffalo, in which the high and low registers are contrasted most effectively in the return from the heights -- and its ominous 'drums' -- towards its close [listen -- track 1, 5:30-7:17]. Ignis Fatuus ('Deceptive Fire') is for solo cello (Alexander Ezerman), and Apparition at Timber Creek is another atmospheric reverie for harp and double bass, again using the unexpected instrumental partnership to generate inventive ideas [listen -- track 4, 2:34-3:41]. A notable characteristic of LeVelle's style is the tentative beginning, each piece venturing in softly, timidly testing the water and hoping there is no-one around when she enters. The technique is appealing, drawing as it does the listeners' attention gradually into a shy world of colour. There is a song, The Aliens of Los Angeles, sung by soprano Carol Stephenson with piano and percussion accompaniment, and this is the only track I found unattractive, its text by Dan Daniel poor and, if anything (though I wouldn't use it) more suitable for recitation than vocalization. The whole CD is, however, an enjoyable exposition of LeVelle's creative resourcefulness, something I would hope that has already matured on paths individual enough not to be led astray by fashion or (worse still) critics or academic pressures. From the sound of it, I doubt she will be! [A] promising debut chamber-music collection.